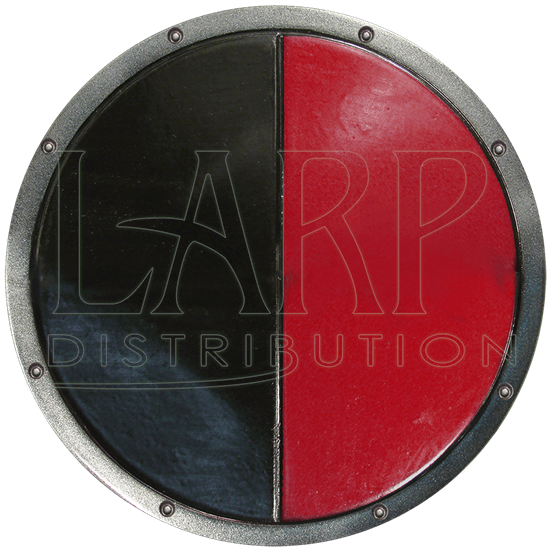 Show off the colors of your realm with pride by carrying this excellent round LARP shield! 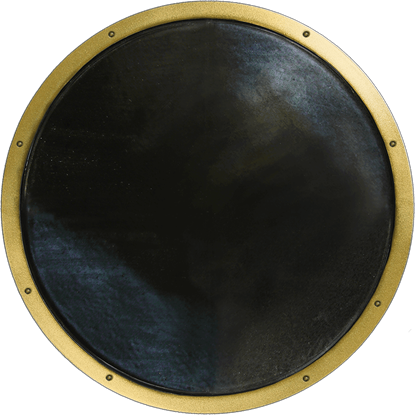 The Red and Black Ready For Battle Round Shield displays a dual-colored design with half of the piece showing solid black and half vivid red. A simulated metal strip with rivets runs around the edge of the design. Made from hard EVA foam and then coated with latex, this LARP buckler offers the protection you need in the heat of battle. 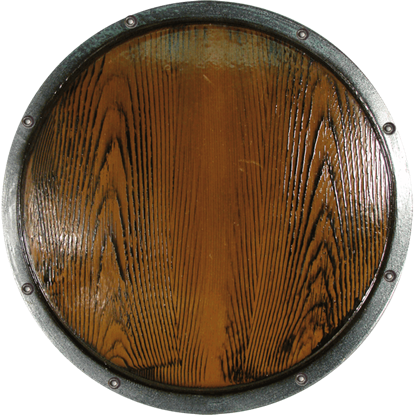 Ideal when you want an authentic-looking round shield, this LARP buckler displays a great wooden grain pattern over its front. The Woodgrain Ready For Battle Round LARP Shield displays a simulated metal strip around the edge of the design.